We’re pleased to announce that during the holiday season we’re announcing two new amazing additions to world of video slots. Not only with you be caroling with the Deck the Halls video slot, but you’ll be going on a intergalactic space adventure with the inspired sci-fi video slot named Battlestar Galactica. This December the highly anticipated video slots have finally arrived. From the generous and Christmassy spirit of Deck the Halls to the space warfare of Battlestar Galactica, you can be sure, whether you’re in the festive holiday spirit or just need some high paced action you’ll have something to look forward to this winter. 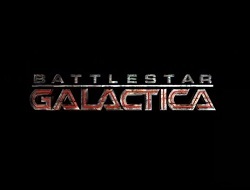 Battlestar Galactica is a 5 reel non progressive video slot that comes with a whopping 243 paylines, now that’s generous. Not only does it offer such a munificent payout, but the features included in Battlestar Gallactica are not one to be missed. With high quality real life graphics, this video slot even comes with wildcards, multipliers, scatters and free spins. Not to mention the bonus game that includes actual video content when you trigger a winning combination! As for Deck the Halls, this simple and sweet video slot encourages the holiday spirit of giving. With its bright colored screen, this video slot includes all your favorite Christmas treats. This 5 reels video slot has a non progressive game play and includes 30 paylines with a wildcard, multipliers, scatters and free spins helping you find a winning combination for the $2,000 jackpot. And if that’s not enough, this December, Deck the Halls finally gets added to the Multi-Player Slot Tournaments portfolio! So, this December really get into the holiday spirit either with some fast paced battleship action or a sweet little carol.